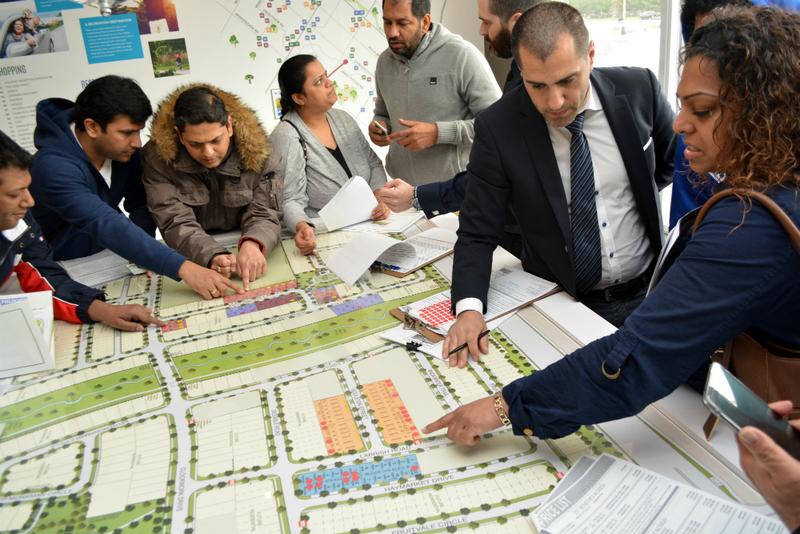 You Can Now Buy a New Home at Upper Valleylands in Brampton! One of the most highly anticipated new home releases of the spring is now open to the public! 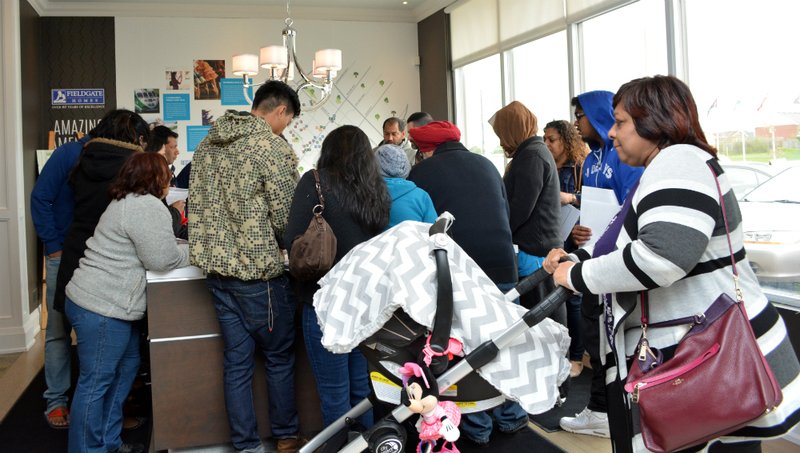 Come browse our selection of new homes at Upper Valleylands in Brampton! 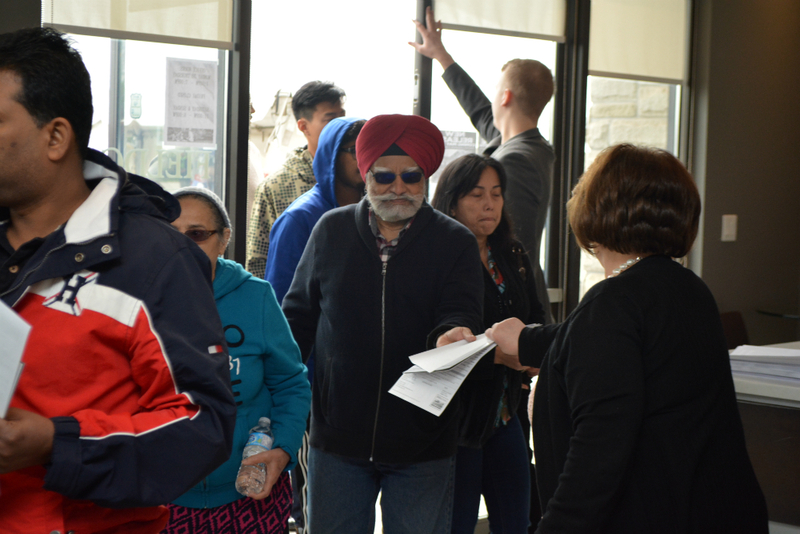 We received a lot of interest leading up to the opening weekend, so we weren’t surprised when the first few families showed up a couple hours before the sales office doors were scheduled to open. The rain seems to be holding up a bit (it’s barely drizzling!) and the line is still growing! Don’t worry, there’s a white tent outside in case the sales office is full when you arrive. As soon as we let the first group in, they went straight for the site plan to pick their favourite lot. 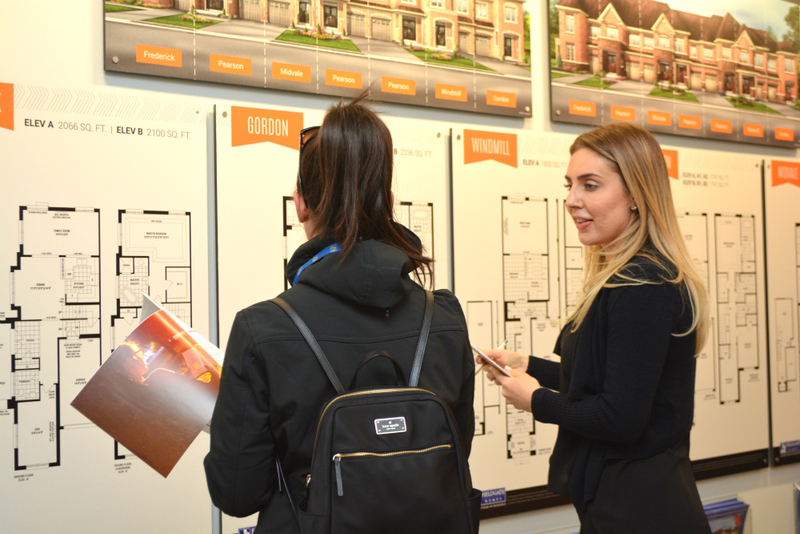 The floor plans and elevations were available on our website well before the opening so everyone had a chance to compare the options and pick their top choices. Upper Valleylands features a selection of home types, including freehold urban towns, freehold towns, semis, and 30’, 38’, and 41’ detached homes. The homes range from more than 1,500 to 3,300 square feet. Located at Mayfield Rd. and Chinguacousy Rd., Upper Valleylands takes advantage of the best that both Brampton and Caledon have to offer, with quick and easy access to schools, restaurants, parks, banks, and grocery stores. The Upper Valleylands sales office is located at 8676 Chinguacousy Rd. in Brampton. We’re open until 6 pm today and from 11-6pm on Sunday. We’ll also be open 1-7pm from Monday to Thursday next week! 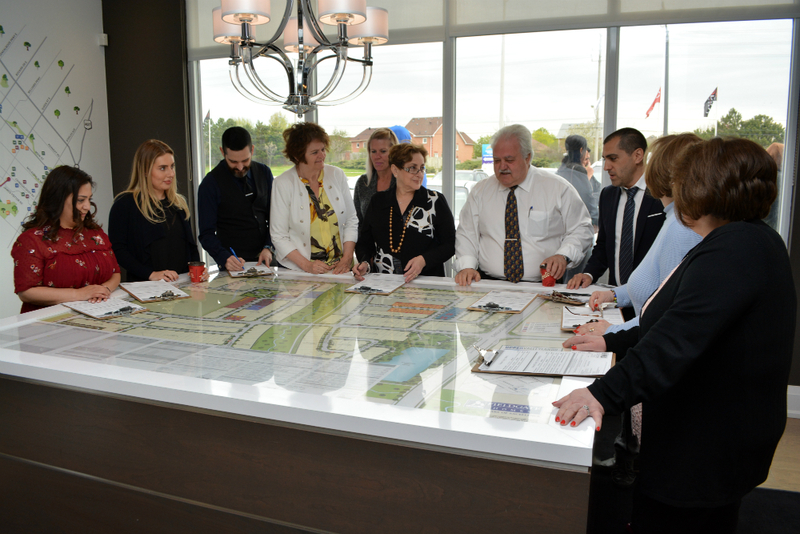 The Fieldgate team getting ready to open the doors at Upper Valleylands in Brampton!